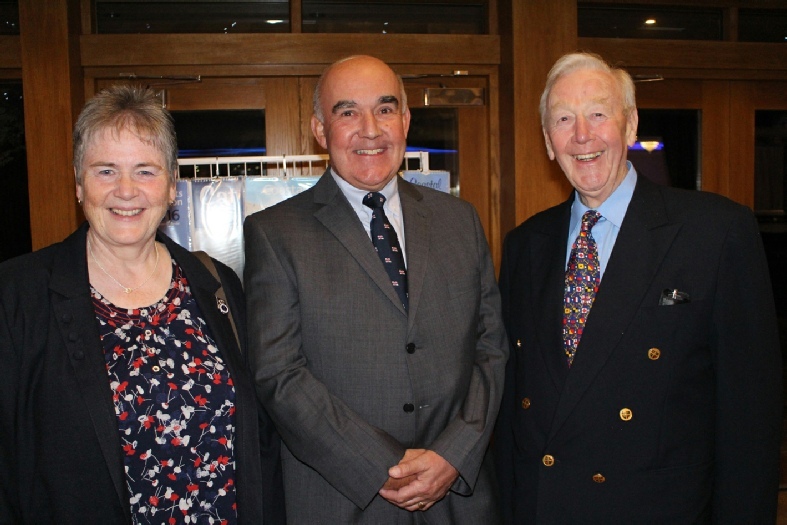 A Fish Supper that took place on 15 October 2015 at Aston Wood Golf Club, hosted by the Sutton Coldfield branch of the Royal National Lifeboat Institution raised £1250 for the charity that saves lives at sea. The RNLI launched the idea of a Fish Supper to raise funds that will help support, train, equip and keep our lifesavers coming home safely to their loved ones. Aston Wood Golf Club served a delicious meal that was enjoyed by all. After dinner, RNLI Presenter Carolyn McLaughlin outlined the work of the charity nationally, where an average of 23 people are rescued each and every day. There are 230 lifeboat stations around the United Kingdom and Ireland, covering 19,000 miles of coastline and going 100 miles out to sea. She talked of the work of the lifeguards now positioned strategically on 200 popular beaches. The RNLI now has a 24/7 capability for national and international deployment for flood rescue, with six divisional teams. She touched on the RNLI’s missions for Safety, Education and Prevention and the work being done to educate young people in staying safe at the sea. The Seahouses Lifeboat Station in Northumberland has been adopted by the Sutton Coldfield branch. Carolyn said how thrilled she was to be able to introduce Ian Clayton who is the Operations Manager at the Seahouses RNLI Lifeboat Station. Ian brought to life the practicalities of a busy lifeboat station and outlined his role and responsibilities. He talked through the plans for Grace Darling, the All Weather Lifeboat currently there, to be replaced by one of the new Shannon Class lifeboats, likely in 2018. It is still early days to see what the impact will be of the withdrawal of the helicopter support that had previously been provided from RAF Boulmer. In future, rescue helicopters will have to travel from further afield to reach casualties. Ian commented how moving it was to see such fine support for RNLI so far inland. The evening concluded with delightful musical entertainment provided by duo Doreen and John. Anyone interested in finding out more about RNLI in Sutton Coldfield is invited to ‘phone 0121 353 4108.